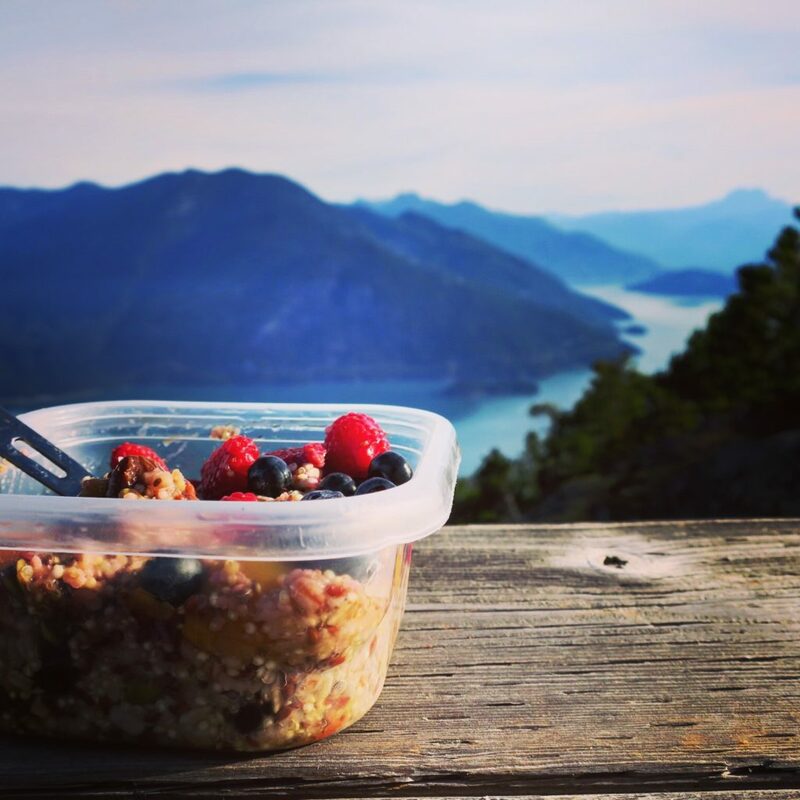 A hearty, delicious and easy breakfast packed with superfoods to fuel any adventure. I can’t believe it’s been over a year since I started Hooked On Plants, and I still haven’t posted about my breakfast cereal! 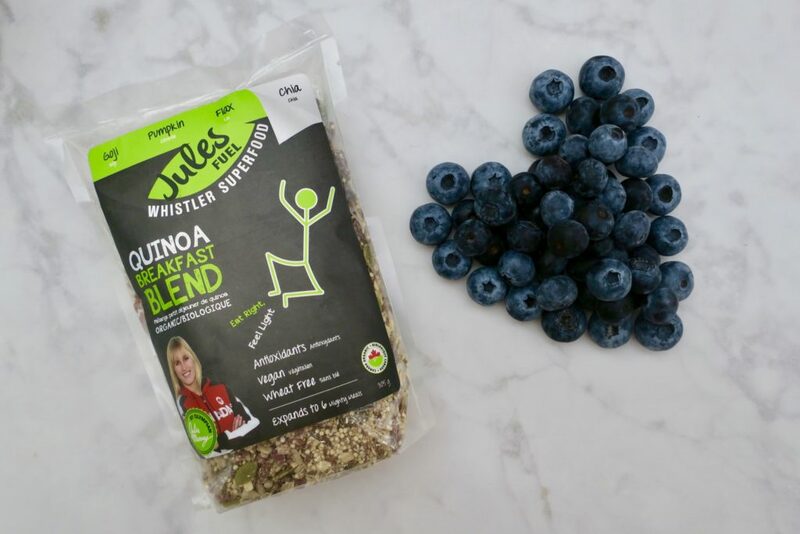 Well, now you know, I have my own organic breakfast cereal AKA: Jules Fuel. 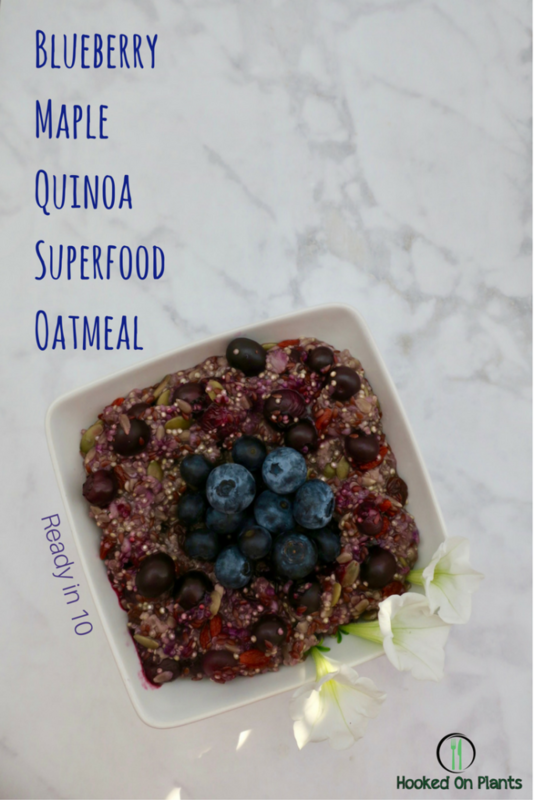 The whole quinoa seed, oats, goji berries, chia seeds, flax seeds, raisins, sunflower seeds and pumpkin seeds, and…. No added sugar, unprocessed, takes 10 minutes to make 6 servings, and keeps for 10 days in the fridge when it’s done. You can grab your bag of fuel in any Whistler grocery store, a few across Vancouver, and online from Spud.ca! 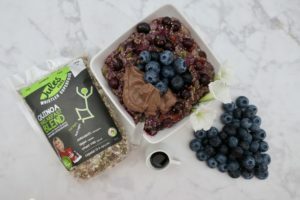 Yes, Jules Fuel is packed with the goods, but then you add Hares’ Farm organic, from just down the road, massive, juicy, firm, sweet blueberries to the mix and you have yourself one of the most nutrient-dense bowls of breakfast I can think of! I mean, berries are good, but these ones are from another planet. I eat them by the handful. And I’m more than OK with that. These babies are SO fresh and ready to buy by the 10 lb box for only one more week, so get your order in! Waking up to a bowl of this goodness while on a camping trip has to be one of my favourite things in this life. 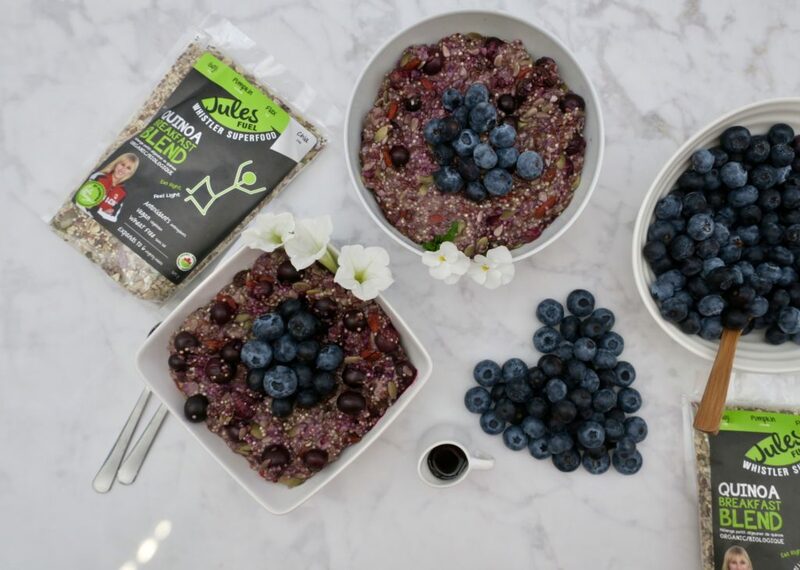 Jules Fuel is low glycemic, high antioxidant, fibre-rich, packed with 8 whole food ingredients and has all the amino acids needed. 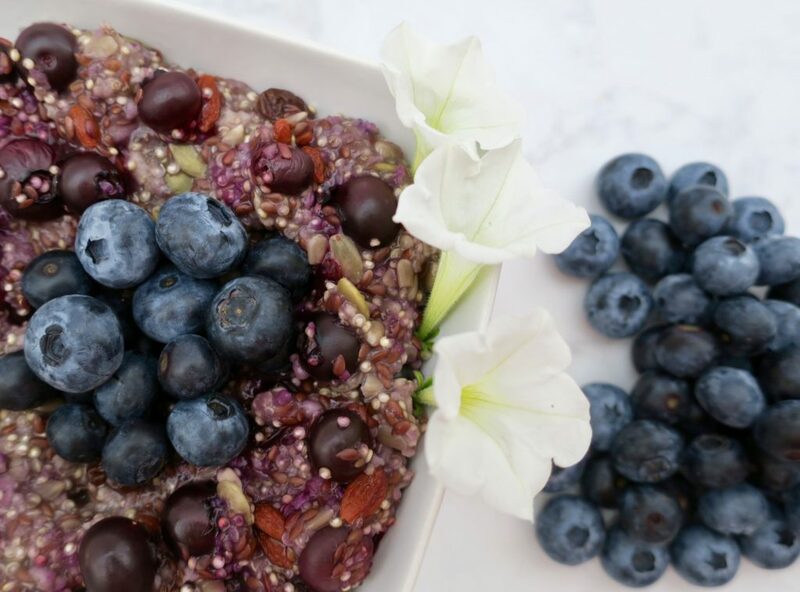 This stuff will sustain your energy for hikes, biking missions, workout classes, paddle board sessions, or just on one of those days you really need to use your brain. You’ll get omegas from the chia and flax seeds (for your brain), iron from the pumpkin seeds and raisins (for your blood), complete plant protein from the quinoa (for your hair, nails and healing), vitamin E from the sunflower seeds (for your skin), antioxidants from the goji berries (for staying young), selenium and zinc from the oats (for warding off disease)…plus sooo many more vitamins, minerals and phytonutrients from these whole food ingredients. 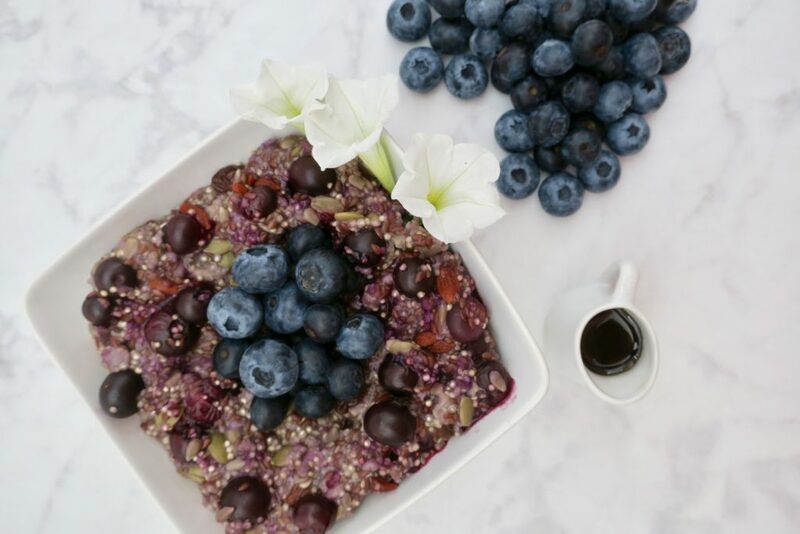 Blueberries have a mega-antioxidant content, which helps our bodies combat disease and literally SLOWS the aging process (can I get a what what!? YES). 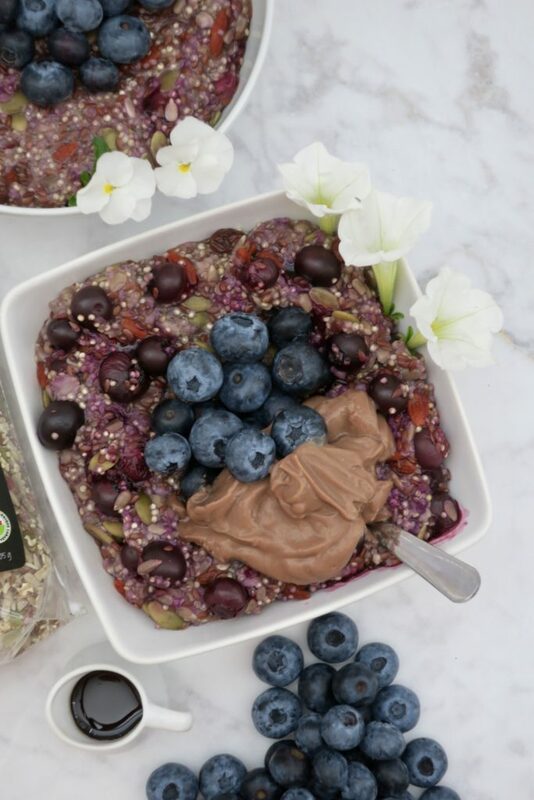 Getting your blueberries from a local, organic farm like Hares’ Farm, means they’re even more nutrient-dense because of the minimal travel time. 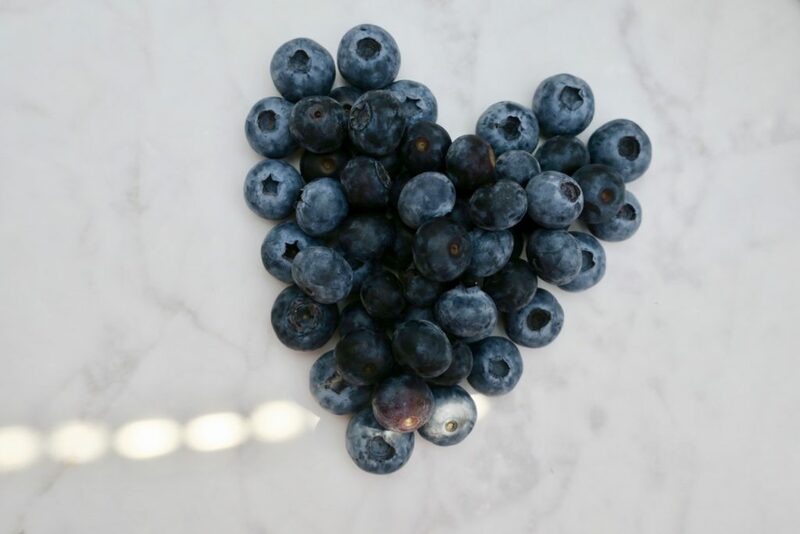 Plus, since blueberries are so delicate, conventional berries have to be sprayed even more than your typical harder-skinned fruit, so buying organic is extra important. Maple syrup is one of the best sweeteners you can use. It’s low on the glycemic index, meaning it won’t spike your blood sugar as quickly as even honey, or sugar of any kind. The slower release of glucose into your system gives your body more time to assimilate the nutrients it comes with. Plus, it’s Canadian and delicious. Win win win. Pour contents of Jules Fuel and the blueberries into a pot. Add 2 cups of water, and bring to a boil. In the morning, add blueberries, then bring to a boil. 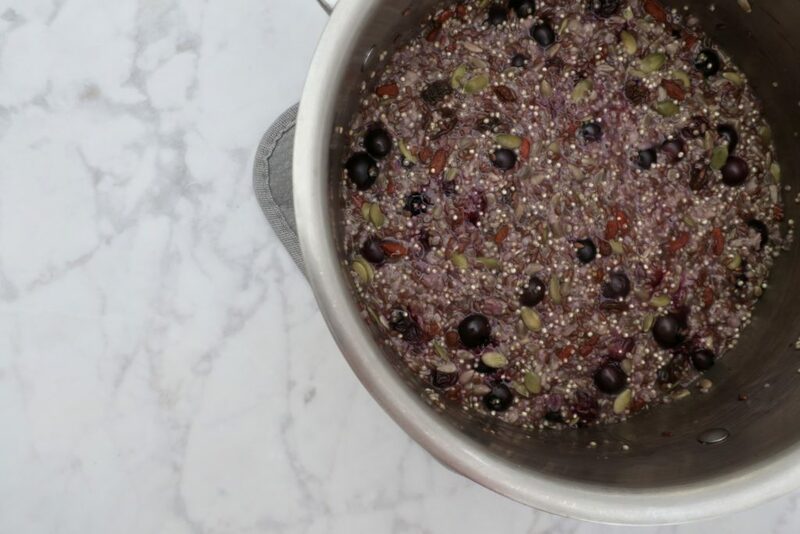 Stir, then simmer for just 7 minutes! 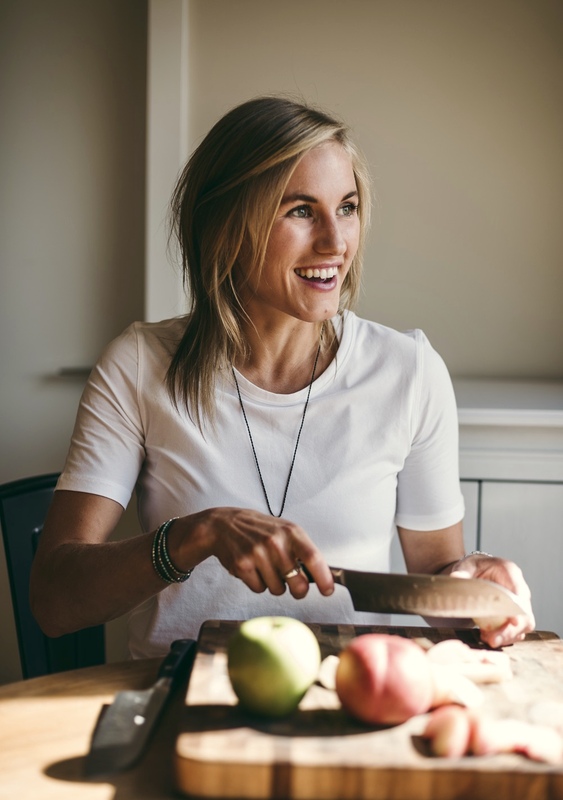 Serve in your favourite bowl with a drizzle of maple syrup. Let me know YOUR creations!!! 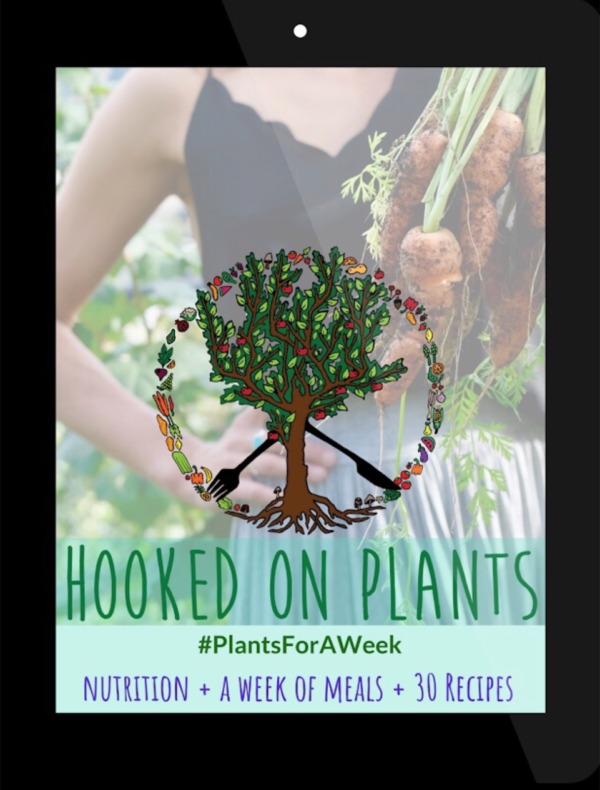 *** Tag @hookedonplants and #hookedonplants so I can see your creations! 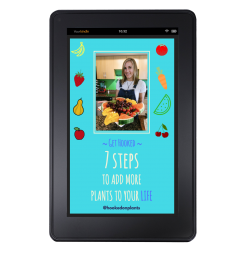 *** Sign up for my emails with fun resources, nutrition tips, plant-based news and new recipes!